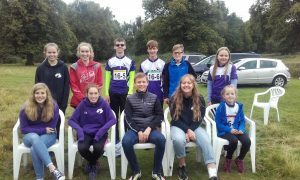 The Peter Palmer Junior relays returned to its spiritual home of Sutton Park on the weekend of the 9th/10th September. After last years top performance on home turf, I was worried that the squad would struggle to compete after a loss of some of our top juniors to adulthood. This captain needn’t have worried. Our LEItining fast team, came 3rd in the Joan George Trophy (6th overall), with our fLEIying foxes team coming in 17th out of a total of 24 teams.